PC Case fans are used to increase the airflow inside your computer case and thus helps in lowering down the temperature of various components installed in your PC case. But if you are an enthusiast and building a high-end fancy gaming PC with all RGB LED lighting and stuff i.e. 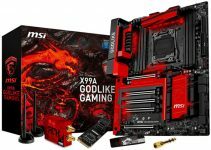 RGB RAM, RGB CPU Cooler, RGB LED Strips etc. then you need RGB LED Case fans too, because they look really amazing and does enhance the beauty of your high-end futuristic gaming PC. An RGB Fan is a fan that comes with RGB LEDs that lits up the fan with RGB lighting. The RGB Lighting can be in the form of a RGB LED Ring around the fan blades or it is directed towards fan blades, or can be both. The RGB lighting looks amazing with different lighting effects and for best results, you should a tempered glass case to get most out of these RGB fans or other RGB LED supported components. You won’t get the best case fans from Noctua’s in RGB variant, but you can still find some very good RGB Case Fans from popular brands like Corsair, NXZT, Deepcool etc. I have already covered best case fans in this blog earlier, but here in this post I am going to list down the best RGB LED Fans that can light up your gaming PC without compromising any performance. Important Note: You will need a motherboard with RGB headers or an RGB controller to control the lighting & effects of your RGB fans. There are two types of RGB headers, 12V 4-pin RGB header for non-addressable RGB devices and 5V 3-pin RGB header for addressable RGB LED devices. 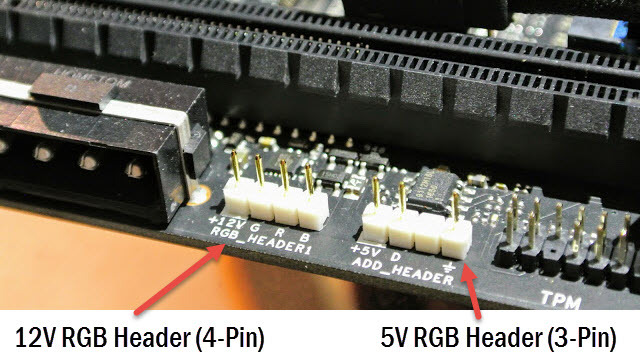 These RGB headers are not cross compatible with each other so do not plug a RGB fan with 4-pin RGB connector (12V) to a 3-pin RGB header (5v) or vice versa, because doing so will cause damage to your RGB fan or RGB LEDs. Below you can see a 12V and a 5V RGB header on a motherboard. Here are the best 120mm RGB fans from some of the reputed and top computer hardware brands. These RGB fans offer great cooling performance and also looks great with their dynamic RGB lighting and effects. This is a 120mm RGB fan from Deepcool which is quite famous for its wide range of computer cooling solutions and computer cases. Deepcool RF120 RGB LED fan comes with 6 RGB LEDs and transparent fan blades for lighting. It is a pretty silent and reliable RGB LED fan that comes with a cable controller for changing lighting modes, LED brightness and speed of lighting. Along with cool RGB lighting effects, the fan offers good amount of cooling performance and is equipped with rubber pads on the corners to reduce shocks and vibrations. 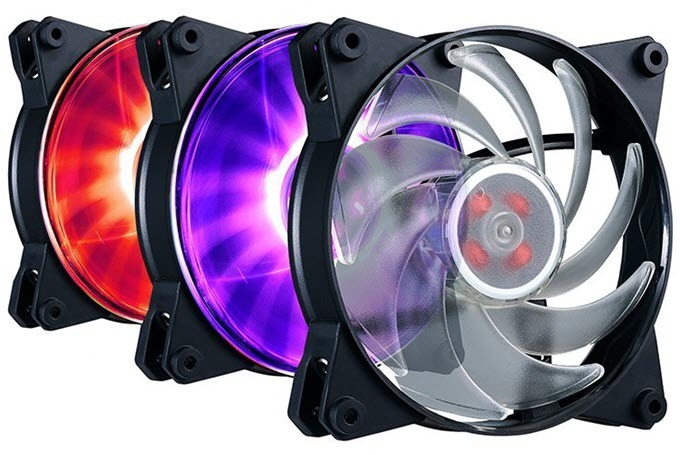 It is also available in pack of three that includes a fan hub on which you can connect up to 6 of these RGB fans or any other Deepcool RGB devices. Deepcool RF 120 RGB fans are compatible with Asus AURA Sync RGB lighting. These RGB fans are mainly used as Case Fans but they may be used on the radiators too. These Deepcool RGB fans are not expensive and are very much affordable. Highly Recommended by me for use as RGB Case Fans. This is one of the best RGB LED fans that you can get for your fancy gaming PC. This is an advanced RGB Fan that uses ultra-low friction magnetic levitation bearing technology for delivering more airflow and higher static pressure with very lower noise generation. The fan consists of four hub-mounted individually controlled RGB LEDs that delivers great lighting effects with vibrant colors. It is also available in three fan kit and comes with lighting node. 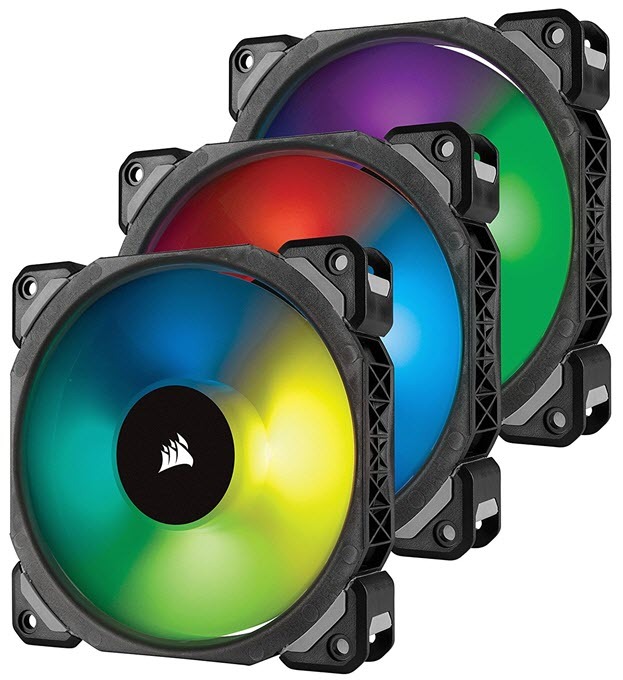 You can change the colors and lighting effects of these RGB fans using the Corsair Link Software. The fan is PWM controlled which means you do not have to worry about changing its speed every now and then. The fan has got transparent blades which further enhances the beauty and the lighting coverage. The RGB LEDs are quite bright and looks amazing in your computer case. It also has rubber corners for preventing shocks and vibrations due to spinning of the fan. The 3-pack fan bundle consist of three Corsair RGB Fans, one RGB lighting hub, one Lighting Node PRO, twelve Fan mounting screws and two Mounting Strips for Lighting Node PRO. So, if you are looking for a high quality RGB fans with great features and performance then you must get these Corsair RGB Fans. NZXT is a reputed computer hardware company that is known for its high quality computer cases and cooling solutions. Here we have got NZXT Aer RGB LED 120mm case fan that looks very elegant, classy and beautiful with its amazing RGB LED ring that contains 8 RGB LEDs. The RGB LED ring is this fan is a bit different in shape compared to other RGB LED Ring fans, because it is slightly wider at the corners, which gives it a unique and amazing look when lit up. 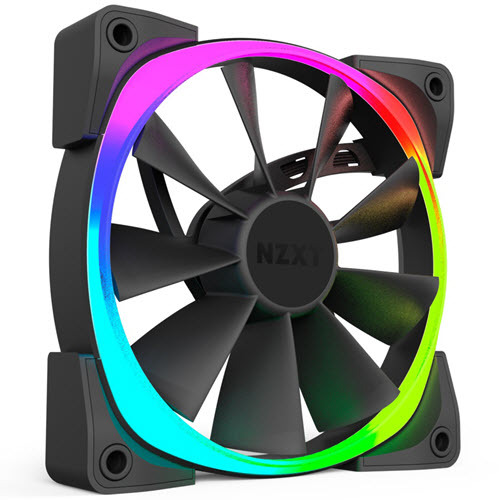 This NXZT RGB Fan comes with Fluid Dynamic Bearing (FDB) and is pretty quiet in operation especially at lower speeds. The fan also pushes good amount of air and has got maximum airflow of 52.44 CFM. It is also available in pack of three and are PWM controlled that maintains a great balance between cooling and quieter operation. These RGB Fans are HUE+ and CAM-compatible and you can daisy chain them for additional lighting effects. So, if you want beautiful looking and performance driven RGB LED fans from a top brand then you must go for them. 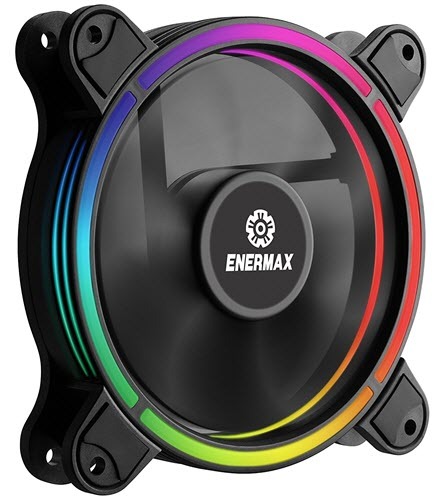 This is a very unique designed RGB case fan from Enermax. This RGB Fan has got 4 RGB LED rings side by side that looks very stylish, modern, futuristic and amazing when in operation. The fan comes with its patented twister bearing for low noise and long lifetime (MTBF≥160k hours). Other main feature of this RGB Fan is detachable fan blades which makes them easier to clean. The 6-pack of this fan comes with Remote control and Enermax RGB control box on which you can add up to 8 RGB fans and up to 2 RGB LED devices. The RGB fan is also compatible with 4-pin RGB headers on the motherboard. 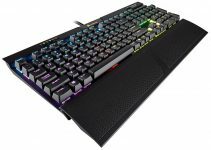 It is also compatible with other popular RGB lighting softwares that include Asus Aura Sync, AsRock RGB LED, Gigabyte RGB Fusion and MSI Mystic Light Sync. For avoiding shocks and vibration, it has got rubber pads at corners. The fan has good cooling performance but they can be a bit loud at higher speeds. 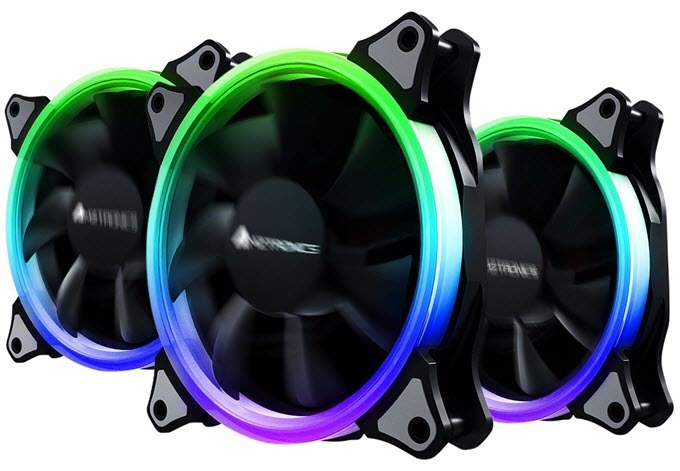 Overall, great RGB LED ring fans with four RGB LED rings. Stunning looking RGB LED Fan from Corsair that comes with dual light loop RGB LEDs. According to me, these are one of the best looking RGB LED fans that you can ever find. Corsair LL120 dual light loop case fan comes with 16 independent RGB LEDs across two separate light loops to create vibrant lighting and visual effects. The RGB LED effects in these fans look breathtaking and you can control the various light effects and modes using the Corsair Link software. The RGB LEDs are very bright they really lit up your computer case. They are available in pack of three with CORSAIR Lighting Node PRO and RGB Lighting Hub included. These colorful RGB Corsair fans offer great performance and are also pretty quiet I operation. 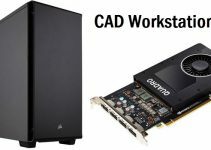 They are PWM controlled which means their speeds are adjusted automatically by the motherboard depending upon the temperature inside the case. These fans require 4-pin connector on your motherboard. So, if you are looking for some cool RGB lighting fans with dual loop lighting effects then you must get them. They are a bit costly than other RGB fans but are totally worth it. Highly Recommended by me. If you want a cheaper option to Corsair LL120 RGB fan then the answer is Corsair HD120 RGB LED fan. This is also great looking and high performance RGB Case fan that has got 12 independent frame mounted RGB LEDs. It is a high static pressure fan and has greater airflow of 54.4 CFM. The fan can be a little loud at higher RPMs but in general it is relatively quieter in operation. It has got hydraulic bearing and is PWM controlled. The fan is also available in pack of three and it comes with 6 port RGB LED hub and Fan RGB LED Controller. The 3-button controller is used to cycle the fans through 7-lighting modes that includes fading, breathing, blinking and more. Overall these are great RGB lighting fans that are big on cooling performance and provides good RGB lighting. 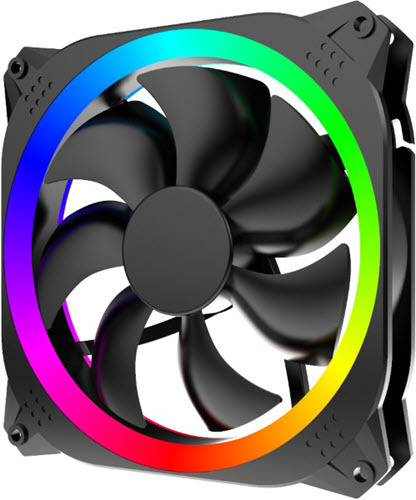 This is a beautiful looking RGB fan from Cougar and has a thick RGB LED Ring across the fan blades. The fan comes with 18 addressable RGB LEDs and supports 5V RGB header directly from the motherboard. This is a PWM fan having speed in range of 600 to 1500 RPM and comes with Hydro-Dynamic Bearing (HDB) for reliability, durability, longevity and for lower noise levels. The fan generates airflow of 43.54 CFM and static pressure of 1.17 mmH2O. It is more suited as a PC case fan (intake & exhaust) rather than a fan for heatsinks and radiators. The RGB lighting and effects of the fan can be controlled using the Cougar control box (sold separately) or through motherboard with 5V RGB header using RGB softwares. The RGB lighting is bright and looks very cool when lit up to its full glory. The build quality of the fan is also top-notch and it has got patented frame design and rubber pads on the corners for reducing vibrations and noise. The maximum noise level rating is 26 dBA and thus he fan falls in the category of silent RGB fans. The package includes 4 Pin Fan to PSU Connector, 5V Addressable Header Adapter and Fan Screws. Overall, a high quality and one of the best looking RGB fans that you can buy for your gaming PC. Here we have Antec Prizm 120mm ARGB Fan which is a PWM controlled fan with Hydraulic bearing and has maximum speed of 2000 RPM. The fan comes with Dual RGB Rings with 18 independent controlled LEDs that are very bright and looks amazing with various RGB lighting effects. The fan generates Airflow of 45.03 CFM and Static Pressure of 2.56 mmH2O. Due to its high static pressure, the fan is more suitable for use on Radiators but it can also be used in PC cases, both as intake and exhaust fan. The maximum noise level of this fan is 32dBA at full speed which is a bit on the louder side. It generally comes in pack of 3 or 5 with its own RGB controller. The RGB fan is also compatible with Asus Aura Sync and other RGB softwares from MSI, Gigabyte and ASRock and you can directly connect this fan to the 3-pin (5V) ARGB header on your motherboard. So, if are looking for a branded RGB Radiator Fans then these are really worth your money. Corsair SP120 is the cheapest yet great looking RGB LED Case fan from Corsair. These are fixed speed RGB fans which spins at a fixed speed of 1400 RPM only. They require a 3-pin connector and has got hydraulic bearing. 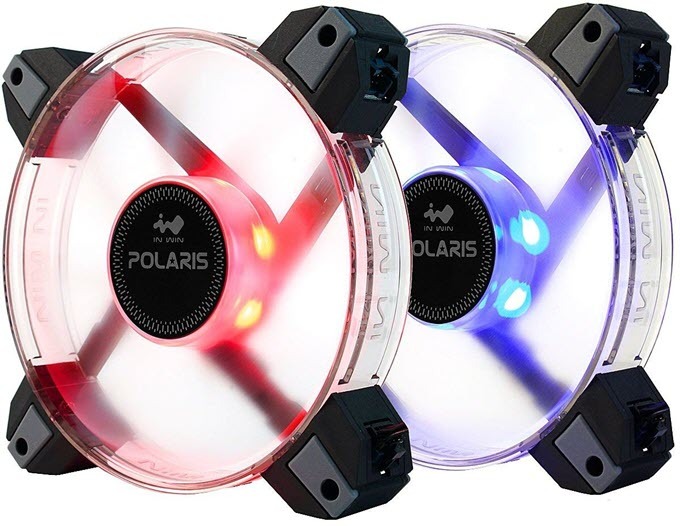 These Corasir RGB fans have got four hub mounted RGB LEDs and translucent fan blades. It comes with a 3-button fan controller using which you can change lighting effects, effect speeds and colors. The performance of these RGB fans is good as they offer airflow of around 52 CFM. They also come in pack of three fans that also include 6 port RGB LED hub. They are quite affordable and carries a big brand name and reliability of Corsair. Overall high performance budget RGB fans for users on tight budget. A decent RGB fan from Cooler Master that looks good and offer decent level of performance. The noise level is rated at 20dBA but it in reality it does make some grinding noise, which can be very annoying for some users. The fan comes with its own POM (polyoxymethylene) bearing that offers significantly longer lifespan as claimed by the company. The hybrid fan blades provides a great mix of static air pressure and airflow. It also comes in pack of three with RGB LED controller to change various lighting modes and speed of the fan. 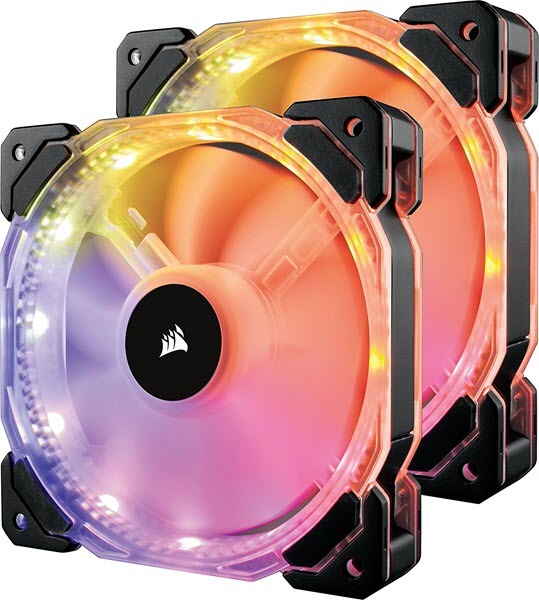 This Cooler Master MasterFan Pro 120 Air Balance RGB fan is compatible with Asus Aura Sync, Gigabyte RGB Fusion, MSI Mystic Light Sync and AsRock RGB LED lighting softwares. It does include rubber pads on the corners to reduce vibration and shocks generated due to spinning of the fan. Other unique feature of this RGB fan is Jam protection which stops the fan from spinning if the blades are intruded by a foreign object. This protect the fan blades and the motor from accidental damage. You can check out these Cooler Master RGB fans from the link given below. Thermaltake Riing RGB fans are one of the most popular RGB fans in the computer hardware industry. Here we have Thermaltake Riing 12 LED RGB Fan which is a 120mm RGB fan for use in radiators and may also be used as a RGB case fan. These are high static pressure fans and they come with hydraulic bearing. They are pretty quiet in operation and are PWM controlled. The RGB LED ring is quite bright and is visible from all the directions. The three pack bundle comes with a fan controller which allows you to switch between 5 LED modes including solid colors of red, blue, white, green or disable and cycle through 256 colors. The fan also includes rubber pads on corners for reduction of shocks, noise and vibrations. So, if you are looking for high static pressure RGB Radiator fan from a reliable brand then you should definitely go for it. Recommended by me. 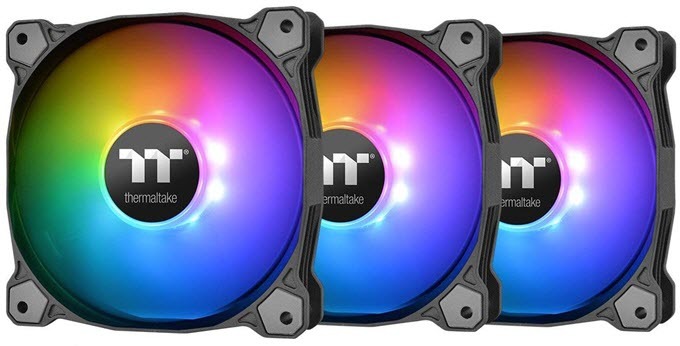 Thermaltake Pure Plus 12 RGB is an RGB Radiator Fan from Thermaltake but it may also be used as a computer case fan too. The fan comes with 9 RGB LEDs and 9 Fan Blade design with its own Thermaltake RGB Controller. The fan uses hydraulic bearing and spins at speeds in range of 500 to 1500 RPM. It is a relatively quieter fan @26BA and generates static pressure of 1.59mm-H2O and airflow of 56.45 CFM. It has got anti-vibration rubber pads on the corners for smooth and silent operation. The fan can only be used with the RGB controller it uses 9-pin to USB 2.0 interface. The fan cannot be run directly from the USB port as it can be run using its own RGB controller interface only that requires 12V supply from 4-pin molex connector. Unlike the Thermaltake Riing RGB fans, these fans cover RGB lighting in all the fan blades. This is a very special RGB fan because you can Voice control the RGB lighting, brightness, effects and fan speed using Thermaltake’s patented TT RGB PLUS Software or App. The software is available for desktop (windows), android and for Mac. These are beautiful looking RGB fans and have got premium build quality. It is available in pack of three and you may check them out from the link given below. So, if you are looking for voice controlled RGB fans with amazing LED lighting effects then go for it. A very clear looking RGB fan from InWin with transparent frame and translucent fan blades. This is indeed a beautiful RGB fan that comes with six independent RGB LEDs that really lights up the fan blades and the frame very well. The 120mm fan comes with Sleeve bearing and rotates at speed in range of 500 – 1280 RPM. The fan is very silent and has maximum noise rating of 20.2 dBA only. 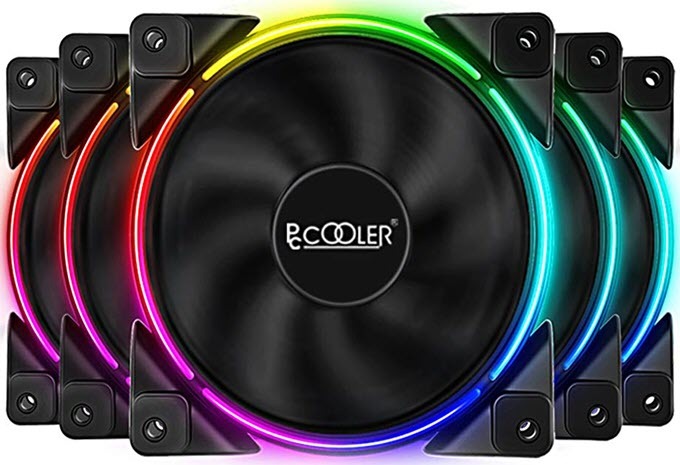 This RGB fan comes with dual 8-Pin Modular connectors (4-Pin PWM + 4-pin 12V RGB) that also allows you to link it with other similar fan in daisy chain arrangement. This allows easier installation and tidier cable management. The four corners of the fan are fitted with shockproof rubber pads to eliminate vibrations and noise due to it. The fan including the frame is built using PBT plastic which is hard, durable and also heat resistant. It generates airflow of 43.31 CFM and static air pressure of 1.26 mmH2O. It is better to use this fan as a case fan because the static pressure is not that great for use in Radiators and Heatsinks. The RGB lighting on the fan can be controlled using the popular RGB softwares that include Asus Aura Sync, MSI Mystic Light Sync, Gigabyte RGB Fusion and ASRock RGB LED. The fan is available in single and twin pack, but it is better to buy it in twin pack kit for better value. Note: This fan is also available with aluminum frame and you can check this variant out too from the link given below. Here are the best 140mm RGB fans from well known computer brands or companies. These RGB fans offer higher airflow and cooling performance compared to the 120mm RGB LED fans mentioned above. All of the below mentioned 140mm RGB Fans are the bigger variants of the same 120mm RGB Fans mentioned above. 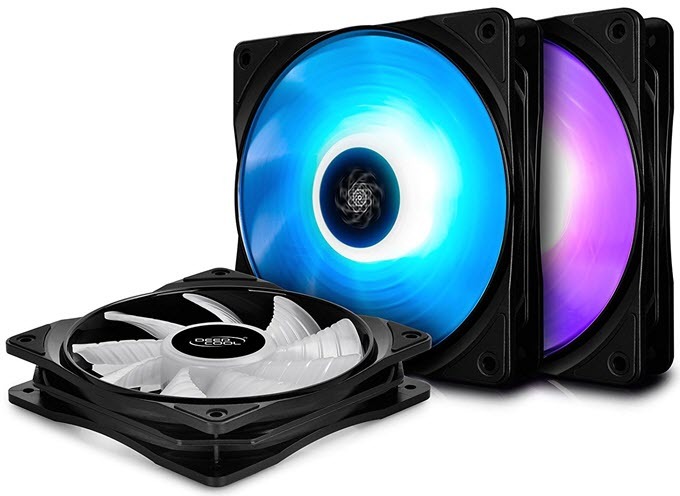 These RGB 140mm Fans comes with same features with their 120mm counterparts. The only difference is that the 140mm version offers greater airflow because of their bigger fan blades size. It is the bigger brother of the above mentioned Deepcool RF 120 RGB fan. Both have same specifications and features except for higher airflow, lower RPM and slightly different noise levels in this 140mm RGB fan. Below are the major specifications of this Deepcool 140mm RGB LED fan. 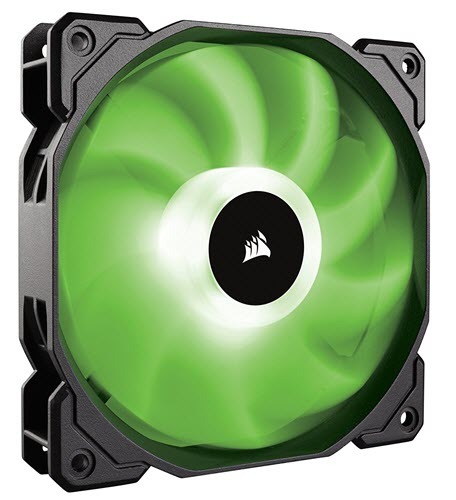 Corsair ML140 is the 140mm version of the above mentioned Corsair ML120 fan. Corsair ML140 has got the same features as in Corsair ML120 but it comes with lower RPM, higher airflow and lower noise generation. You can find the complete specifications of this Corsair ML140 PRO 140mm RGB LED fan below. It is the 140mm variant of the above mentioned NZXT Aer RGB 120mm fan. This NZXT Aer RGB LED 140mm fan comes with much greater airflow of 91.19 CFM compared to the 120mm sibling. Other specifications of this fan remains exactly the same including fan speed and noise levels. Corsair LL140 RGB Case fan is the 140mm variant of the Corsair LL120 RGB fan with higher airflow and lower fan speed. Features of both the fans remains the same. You can find its major specifications below in the table. Corsair HD140 is the 140mm version of the above mentioned Corsair HD120 RGB fan having same features, specifications but with higher airflow, lower fan speed and slightly lower noise levels. You can check its specifications below. These are 140mm Thermaltake Riing 14 LED RGB Fans that comes with higher airflow compared to the smaller Thermaltake Riing 12 LED RGB Fans. Other features and specifications remains the same including fan speed. If you want to make any 120mm or 140mm case fan RGB then you can do so by using this Phanteks Halos RGB Fan Frame. This RGB Fan Frame consist of an RGB LED Ring that illuminates the fan blades and other areas. It comes with a 4-pin RGB connector that can be used with only Phanteks RGB controller or accessory. To use it on a motherboard with a traditional 5050 RGB header, you have to buy a Phanteks RGB LED 4 Pin-Adapter cable with standard 5050 RGB connector. You can also daisy chain them using a single RGB connector. Phanteks Halos RGB Fan Frame is compatible with Asus Aura Sync, MSI Mystic Light Sync, Gigabyte RGB Fusion RGB softwares. It is a definitely a great product to make your favorite case fan light up with RGB lighting. P.S. 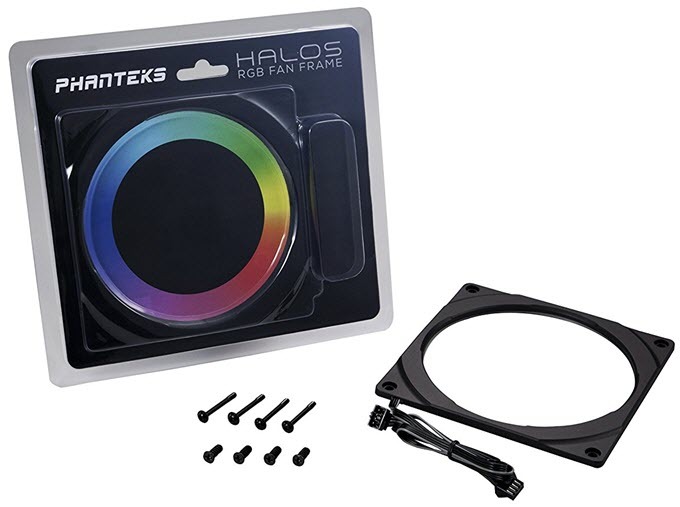 – The Lux versions of this RGB Fan Frame i.e Phankteks Halos Lux RGB Fan Frame comes with 4-pin adapter cable with 5050 RGB connector. They also have their main cable braided. Here are the best budget RGB Case Fans pack for users on budget. These RGB LED fans come from brands that are mostly unheard but offers good RGB fans having good performance and features for the price. A pretty good 120mm ARGB for the price from Pccooler. The fan comes with dual light loop RGB rings that looks very nice when lit up. This is a PWM fan that comes with hydraulic bearing for reliability and long life, and spins at speed of 1000- 1800 RPM. The fan is 12V that requires 4-pin PWM connector and the ARGB LED requires 5V 3-pin connector from the motherboard or from the RGB controller. The fan has got 18 LEDs with 5 brightness levels, 6 lighting modes and 7 different colors. The LEDs are pretty bright and looks amazing with all color changing effects. The fan generates healthy airflow of 54.51 CFM and is very silent in operation, with maximum noise level rating of 19 dBA only. It has got eight shock absorbing rubber pads on the all corners to reduce vibrations and the noise due to it. The build quality of the fan is also very good, and it has rated lifetime of 30,000 hours. These fans are also available in pack of three and are suitable for water cooling radiators and as case fans. You may also use them on CPU Cooler as they have offer good performance. They are pretty cheap compred to RGB fans from other popular brands. A wired RGB controller comes bundled with these fans (3-pack). Highly Recommended by me. These are one of the cheapest RGB fans that you can find in the market. However, they are pretty well made and perform very good for its price. The fan comes with 8 RGB LEDs that are quite bright and they shine through the white fan blades. The fan does not compromise on quality and it comes with Fluid Dynamic Bearing (FDB), and spins at speed pf 1100 RPM. It generates good amount of airflow at 56.27 CFM and is decently quiet at 23.9 dBA. The static pressure generated by the fan is 1.59 mmH2O, which is quite good. It also includes anti-vibration rubber pads on the corners for shock absorption, and to eliminate vibrational noise. For connectivity, it uses 6-pin connector and comes with a wireless remote controller and RGB fan hub. Using the wireless remote, you can control the fan brightness, lighting effects, colors and can also start and stop them. The fan can be used as case fan (both intake and exhaust) and on radiators as well. It is available in pack of five at a price that is very hard to beat. AsiaHorse is really a weird sounding brand name but it does offer affordable and feature rich RGB Fans for use in PC Case, CPU Coolers and Radiators for Water Cooling. Here we have AsiaHorse Solar Eclipse III 120mm RGB Fan that comes with hydraulic bearing for reliability and silent operation. It is a pretty quiet RGB fan that has maximum noise level rating of 16.8dBA and offers 25.5 CFM Airflow, which is rather on the lower rise. The fan spins at maximum speed of 1200 RPM and has got silica gel pad at the corners for shock absorbtion and noise reduction. 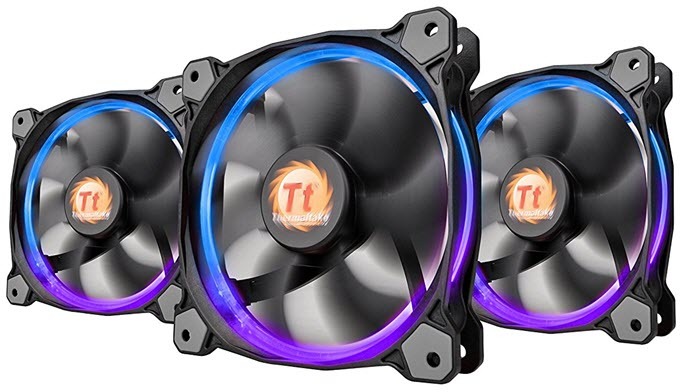 These AsiaHorse RGB Fans look somewhat similar to the popular Thermaltake Riing RGB Fans. The fan has three RGB LED Rings and the color of these rings can be changed from a wireless remote that comes bundled with it. These fans feature Music Interactive Function, where the Remote Controller provides three modes of music adjusting light effect, Lighting Effect Change Include music beat to breathe, music speed to Neon-Flex speed,Music to RGB. It uses a 6-Pin connector to connect to the RGB DC power supply box for RGB multi-color lighting. It offers good performance and amazing value for your money. These fans are best suited for use in radiators and as case fans. So, if you are looking for budget RGB PC fans then you will not be disappointed at all. It also comes in pack of three and five with a RGB Remote control. You can check out these RGB fans from the link given below. 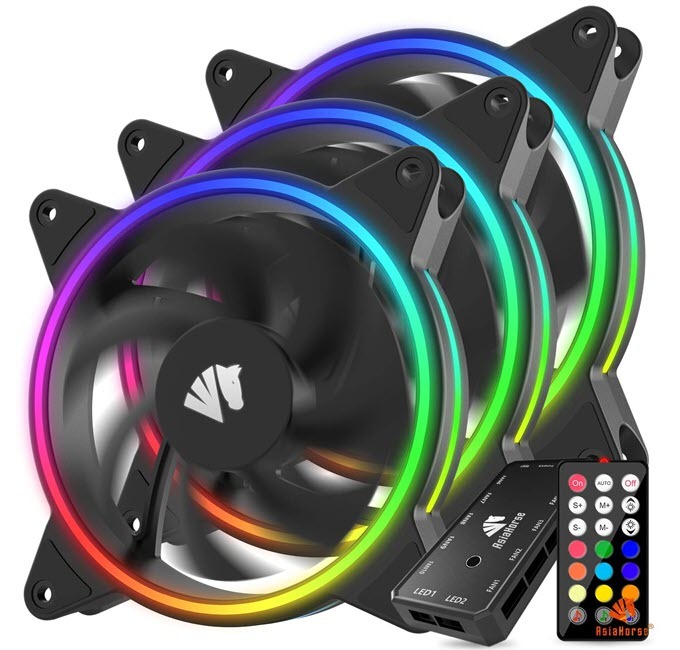 Note: If you want more RGB lighting then you can get AsiaHorse Nebula 120mm RGB Fan that has got RGB lighting on the fan blades (diffused) and around it as Ring too. Other specifications of this fan remains the same as the Solar Eclipse III fan. You can also check it out from the links given below. Another budget RGB fan for computer cases and CPU water cooling radiators. Aigo is a Chinese company that manufactures computer cases, computer peripherals and consumer electronics. Aigo RGB LED consists of single thick RGB LED Ring on one side unlike dual RGB LED rings found in the above mentioned AsiaHorse RGB fan. This is a 120mm fan that has got a relatively slower RPM of 1300 RPM and maximum noise level of 23.5 dBA, which is on the silent side. Because of relatively lower RPM these RGB fans push slightly less air which may be a concern for some users. The fan has transparent fan blades and comes in pack of three and a RGB controller by which you can change colors, various lighting effects and speed of the fans. You can connect up to 10 fans on this fan controller. 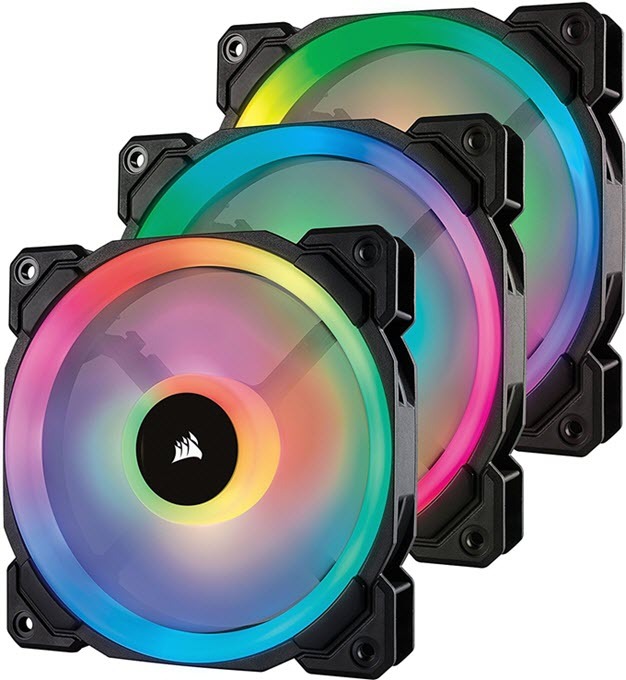 These RGB fans comes with fluid dynamic hydraulic bearing for longer life and rubber corners to avoid shocks and vibrations when in contact with the computer case. These RGB fans got 6-pin connector and 4-pin connector for the DC power supply. The quality of these RGB case fans is quite good and they look very nice inside your PC case or on your radiators. Overall, great budget RGB fans that quite reliable and looks great with awesome lighting effects. AMZtronics is a Chinese company and here we have 120mm RGB LED fans from it. 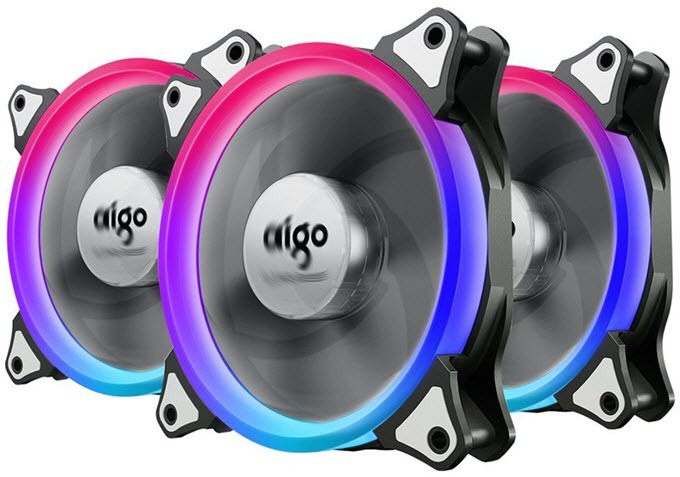 These RGB Fans looks almost same and has nearly the same specifications as with the Aigo RGB fans mentioned above having the same RGB LED Ring type, but these AMZtronics RGB fans have black blades instead of the transparent blades found in the Aigo fans. These RGB fans comes with hydraulic bearing and a 6-pin connector. These are high airflow RGB fans that are pretty quiet in operation and has got relatively lower 1300 RPM. This also means they push a bit less air as their RPM is a bit on the low side but they are quieter in operation. You can connect 8 RGB fans synchronizing with color to the RGB fan controller and can also adjust their speeds and lighting effects. These RGB fans can be used in Computer Cases, CPU Coolers, and Radiators. They are pretty affordable and they come in pack of three. Overall value for money RGB fans that looks amazing with their RGB LED lighting. You can check them out by going to the link given below. RGB LED fans looks amazing and they really add style, beauty and a fashion statement to your gaming PC or enthusiast build. The above mentioned RGB fans are from different budget range, have different RGB LED styling / placements / lighting effects, comes with different sets of features and cooling performance. If you have any queries about selecting the right RGB fan for your computer case or radiator then you can ask me your doubts by leaving a comment below. RGB fans, mice, keyboards, mousepads, cases, this is getting out of hand man hahaha.